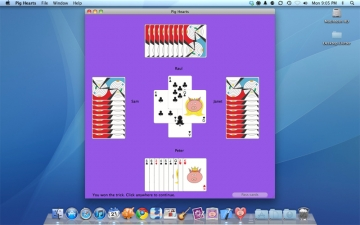 [値下げ] Pig Hearts | Mac App Storeのアプリ検索・ランキング BuzzMac! 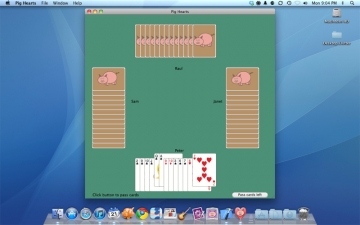 Pig Hearts is the first hearts game on the Mac App Store! Check out the video demo at http://www.youtube.com/watch?v=ZHy6wPBXC0c. If you are a fan of hearts, you will be a fan of this game. 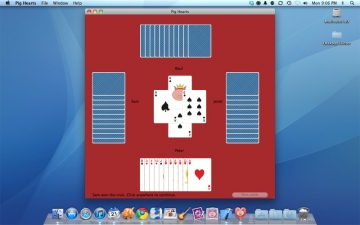 This is a single player hearts game in which the human player is pitted against three computer players. To win, you avoid taking tricks containing hearts. The lowest score wins.